What is the Woodruff Place Flea Market? Every year, during the first weekend of June, the Woodruff Place Flea Market promises two days of treasure-hunting and treasure-finding, combined with food, fun, and terrific people-watching! The Flea Market began as a neighborhood fundraiser in 1975, and has grown from neighbors selling stuff in their yards to 80 acres and over 200 yards filled with stuff for sale. What will you find at Flea Market? Bargains! Food! Entertainment! It’s an entire neighborhood filled with a huge assortment of treasures for sale. Everything from antiques to action figures to art; from file folders to furniture. It’s different every year! In the heart of the neighborhood, there is food, drink, entertainment to keep people happy while they rest their feet for a moment. Wear your comfortable shoes and plan to spend the day – better yet, plan to spend both days. The length and breadth of this Flea Market will amaze you. Even if you don’t buy a thing, you will enjoy the Woodruff Place Flea Market. Woodruff Place is one of the city’s oldest and most beautiful neighborhoods. Early June is a perfect time to walk along the sidewalks, sit on front porches, and enjoy the grassy esplanades, tall shade trees and sparkling fountains. Whether you’ve lived in the neighborhood for decades or months, and whether you are a veteran flea market treasure-finder or a first time visitor, you will love it. In addition to the fun, there is an important neighborhood purpose for Flea Market. Each resident (or guest) who sells items during the Flea Market is asked to donate a percentage of sales to the Civic League. 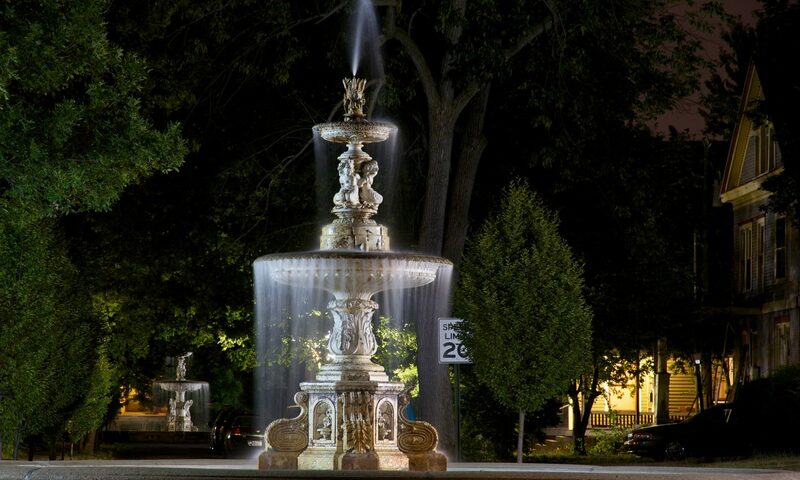 These proceeds help support many neighborhood infrastructure projects such as our historic fountains, streetlights, Town Hall, esplanades, statuary and Tenth Street Fence. Check back here for details or send email to fleamarket@woodruffplace.org for the latest information. We hope to see you at the next Woodruff Place Flea Market!